This is an expanded version of the notice of the passing of my father, Bob Hanley. There are so many stories he told me, and so many stories worth telling, so this is just a start. In this past decade or so, I made the decision to spend more time with them both of my parents, to learn their story, better, to understand them, their times, their ups and their downs. My mother’s path with dementia made this all the more difficult, but as a journalist and a son, I found the process of discovery very meaningful. So - here’s a start. I will add more in time, and have scores if not hundreds of hours of conversations recorded, and what I find to be amazing stories and a degree of nuance to an era that we in media need to better understand if we are to better understand ourselves. HANLEY, Robert John, Ann Arbor, MI, Age 87 passed away Monday January 5, 2015 at his home. Born January 14, 1927 in Detroit, son of Edwin H. Hanley and Anna Martinek Hanley. Attended Wilbert Wright Technical School in Detroit. After graduation, he found himself in the service of the US Army in the last months of WWII, including tours in China and Korea. Upon the landing of his troop ship to Shanghai, China, Bob remembers General AC Wedemeyer exclaiming to his new arrivals, “what the hell are you guys doing here?" He was stationed near the racetrack in Shanghai, almost got to go home after a fairly short tour of duty - but then, the ship to San Francisco took a detour to Korea. There, he and his fellow troops helped convince (sometimes under fire) a good number of Japanese soldiers that the war was, in fact, over. He enjoyed the company of a Japanese barber who had been a submarine captain, learned how to drain the alcohol from decommissioned torpedo engines (and the alternative uses for that fuel), and learned to never, ever, drink Aqua Velva. After two years in the Army, Private, then Corporal, then Sergeant, then Corporal, then Sergeant, then Corporal Hanley found that there was more to life than what he might find working in a factory. Having never been more than 50 miles from Detroit, his two years in the Army taught him there could other things to do, see and learn. Finding new and interesting things to do and places to go and people to meet would be major forces for the rest of his life. He later helped drive an efficiency expert away, in disgust, at Ford. While working in the leather upholstery Department, Bob and his work partner confused the numbers by being super efficient in sewing leather car seat covers with creative solutions at some times, and at other times, performing at a normal pace according to how they had been told to work. After an industry slowdown in the late forties led to Bob’s getting laid off, he and his partner were hired back to repair those same upholstery sewing machines. As a sideline, he sold radios and televisions with friend Ray Miller, installing TV antennas in often less than ideal conditions (including an antenna installation on the ice-covered rooftop of the house of a customer who insisted that he be able to watch the fights that night). Bob brought TV auction items to WXYZ TV during those early days, too. In 1950, he married fellow Detroit west-side native Bodil Ree. They were married for 63 years, until her death in 2013. In the early 1950’s Bob went to work for Westinghouse in the appliance repair division for metro Detroit, learning repair skills that would hone his handiness, and sharpening his already keen ability to get along with a diverse range of people. A few years later, he took on a job with the Ex-Cell-O Pure-Pak division, installing milk carton machines at dairies across the United States. After the birth of daughter Peggy, Bob came back to Detroit to work, again, for Westinghouse Appliance. By 1959, he went into business as Westinghouse appliance repair franchisee for Jackson and Washtenaw Counties. Hanley Appliance had Bob on the road with customers, Bodil Hanley at the home office doing the accounting and picking up parts in Detroit once a week (with special side shopping trips to Hudson’s, Crowley’s and Sanders for she and children Peggy and Scott), and phone calls taken by a sultry voiced (but matronly) woman at an asnwering service in the former Ann Arbor City Hall. For a decade, the company took care of the appliance repair needs of executives and laborers, U of M luminaries and retirees on limited budgets. By the late 1960’s Bob was recruited to work in the physical plant at the University of Michigan. Soon thereafter, he became a foreman of mechanical refrigeration and air conditioning. During the next twenty years of rapid growth at the U of M, Bob and his crews helped install and keep equipment running in dormitories, medical labs, the presidential residence, and offices on the main and north campuses. A prolific storyteller and listener, Bob was privileged to know and befriend average folks and university presidents, acclaimed musicians, sheriffs, politicians and more. 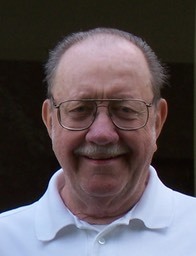 A resident of Ann Arbor since 1960, Bob was active with the Michigan Theater, the Golden K Kiwanis Club, the Motor City Theater Organ Society, the American Theater Organ Society and the Detroit Theater Organ Society. Upon retirement, Bob and Bo purchased at 24 foot travel trailer and a Ford van. For the next fifteen years, they traveled the country, camping in 39 states, visiting friends and family and enjoying the diversity and natural treasures of America. He is survived by his loving family: daughter Peggy Hanley (Mark Gavard) of Forks of Salmon, CA; son Scott Hanley (Laura Tuennerman) of Birmingham, AL; grandsons Michael Hanley and Jonathan Hanley, and their mother Donna Hanley of Pittsburgh, PA.
A memorial event is expected in the Spring. In lieu of flowers, the family encourages memorial gifts to the Michigan Theater in Ann Arbor http://www.michtheater.org/support/ and the Detroit Theater Organ Society in Detroit http://www.dtos.org/ .